Birthdays are one of the most celebrated, looked forward occasions in a child’s life. Usually in Pakistan and around the world the first birthday of the first child is the most celebrated and anticipated one. Parents are very excited about it and start planning the party months before the birthday. But as the child grows and actually becomes aware of his/her birthday the energy of the parents doesn’t stay the same owing to reasons they have younger kids as well, more expenditure on schools and other financial pressures. But with my experience I would like to suggest to all the newbies parents that save some of your excitement and energy for your child’s 5th birthday that’s when he/she will truly enjoy the birthday party! So when it comes to celebrating your child’s birthday you will think of food, the cake, the decorations and the venue and most of all your budget! So what are the best options available in Karachi for hosting an amazing birthday party and on a budget. 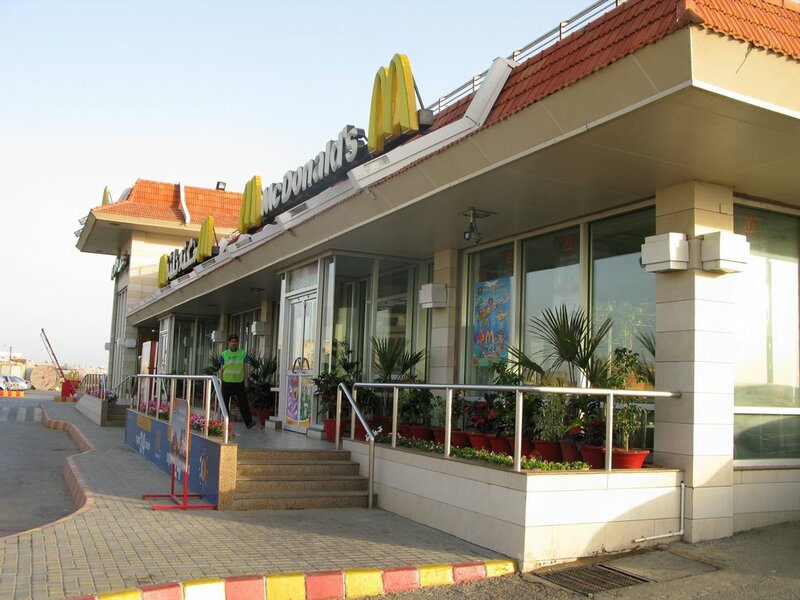 Although there are many Mc Donald’s outlets spread throughout the city but the Sea View branch is particularly a better option for hosting birthday parties because of their separate party room for kids. I have also hosted my sons birthday party there and it was a very good experience. All I had to do was bring the cake and the rest was taken care of; from games, to magic show and even the return gifts. 10/10 very satisfying. Everything was arranged right on time, the lady in charge was very cooperative and was fast in action to take orders from the kids and their moms. 8/10, because of the play gym in Mc Donalds kids always have a good time. And almost every kid loves happy meal so a birthday party in Mc Donalds is always a thumbs up for them! Happy meal is happy meal and its taste always remains the same and that’s one of the biggest plus factor of big fast food chain, their consistency. So when you say happy meal for kids they impulsively become happy because they love the burger or the nuggets and plus there’s always a toy. For grown ups usually everyone likes a crispy chicken burger or a Big Mac and we all are aware of the taste. Not many people know this, but emerald tower which is located in Clifton near teen talwar has a pretty spacious food court with a nice play area for kids and since I have attended many birthdays there, kids and grown ups always have a good time. Besides its pretty convenient because all you have to is inform the people in charge of the food court and do your reservations. They will do all the arrangements and if you want your decorations to be put up even that’s s a possibility. 10/10, very good actually, always ready on time, clean, good air conditioning, and an amazing staff. 9/10, kids love the open space to run around and besides they get to enjoy rides play air hockey and basketball with their friends. And for grown ups there is dahi baray, chana chaat, fries, chicken tikka pizza, sandwiches. And honestly all these items taste amazing and they are pretty hygienic since we never had a tummy upset by eating from there! 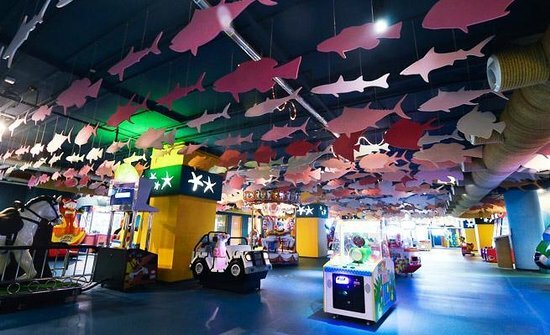 Kids love Sindbad and honestly the Sindbad at Dolmen City Mall is the best as compared to the other malls. Its huge, its got all the latest rides, there s a big soft play area for older and younger kids. And besides they have a big party room dedicated for private parties. So what could be better than a private room to sit and chit chat while the kids can have loads of fun with their friends in a secure environment. 10/10 every kid loves Sindbad and knowing that you can have one whole hour to sit on any ride and for as long as you want. It’s definitely a big treat for them. Since Sindbad is located right next to the food court you can order anything you want for the grown ups and for the kids there’s a nice affordable deals included in the party package. 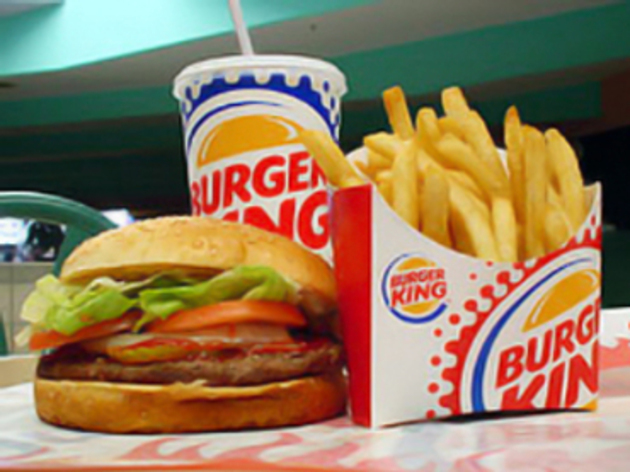 Burger King came to Karachi with a storm and karachiites were pretty excited about it. But somehow when people had the taste of their burger many of them were turned down for reasons that the burgers were dry and didn’t have much sauces to accompany the big meaty taste. But whatever the case is Karachi is a booming industry and rarely has it been that we ever witnessed a huge multinational chain just shut down. In fact once they are here, they are here to stay and with time we see more and more multinational brands coming! Usually all the outlets of Burger king have a kids play area for children aged 3-7 years, Burger King is also a good choice. The service is good, the waiters are very efficient and the place is kept clean and well maintained. 7/10, there’s not much to do only a couple of indoor slides and a smaller play area. If you are fond of Burger King then you will definitely like it but if like me you just can’t stand the totally meaty flavor without much spices and seasonings then the quality of food would probably be something even not worth discussing. Children do get a kids meal with nuggets or burger depending on choice. As the saying goes, “Home is where the heart is” Honestly in my opinion there’s no better place to host a birthday party than your own home. Because you are at ease, your child can have a great time playing indoor with his/her friends and its a very warm, friendly, simply party. But even those who have huge lawns and terraces, call party organizers and cater food from outside. And even such parties are one of the most luxurious ones with a hefty budget! Whatever your budget is small or big always make sure that you pay attention to your child’s requests and not get carried away with what others will say or this is more and that’s less and make sure to invite the kids your child really wants to have on his birthday, and try to focus more on making it a happy event for your kid rather than a high end party. Wow! First child’s birthday is always such a special and emotional moment for the parents. But I am not sure if its your son’s first birthday or second or so on? Because if its the first birthday and if you have enough space at home (keeping in mind the temperature) home is the best place, but if its the like the 5th or 6th birthday then you need to go for places like Sindbad, Mc Donalds or Chunky Monkey (stay tuned for my blog on Chunky Monkey). So if you can tell me which birthday it is, I will give you more details. Since it’s your daughters first birthday, she still is very small to run around with friends and make demands. So a first birthday would be inviting close relatives and friends to share the happiness of your big day. If the home is not an option, then depending on the no. of guests invited you can book any restaurant like Pizza hut, Mc Donalds or Al Bustan, or Rangoli etc. Wow! Many congratulations to your baby and you too. So about the birthday… for the 1st birthday celebration I always recommend celebrating it at your home, because this is more for the parents instead of the baby, so if you have space at home then a nice fancy birthday cake and simple decorations and a nice arrangement of food depending on your family’s taste and also keeping in mind what your baby likes, would make a nice memorable birthday event. Also take photographs and make a nice album so that you have lifelong memories to share with your baby. And if there is an issue of space, then it depends where you live. If you are in Defence then you can celebrate it at Golf Club, or Creek Club or there are many other options. Or if you are living some other place then you can also rent a nice party hall in your vicinity. I celebrate my daughter first b.day at home and was fantastic now she turning towards 2 and my husband suggest to celebrate in a resturant with hi.tea or dinner buffet. can any body give me an idea…. Congratulations on your daughters second birthday. My suggestions would be Rangoli,(Arena) one of my relative celebrated their 11th birthday there and it was pretty good. Lal Qila, or any other buffet restaurant can make a great venue to host an amazing birthday party, since then guests have a wide variety of foods to choose and its also convenient for the host. I am Usman from decent event management all kind kids activity .jumping castle .magic show juggler show face painting .cartoon characters pop corn candy flos slides castle and theme decrater and a lot of fun chocolate fountain so contect me . 0322.2937265. Regards Usman. Dear madam kiran kanwal I am waiting in your redonse. Regards Usman from decent kids event management. If you are interested in advertising your product kindly send me your details in the message box. I don’t know how old this article is but i found it quite informative. I will be celebrating my daughter’s 6th B’day in Karachi on Jan 10, 2017 and made sure the venue has a space for kids to play and run around. Unfortunately, my adults to kids ratio was quite high so i couldn’t choose a place like McDonald’s. Thanks for the info. Im glad you found the post helpful! Hi. Hope you’re well and so is your family. Wow 13 is a pretty tricky age not a kid nor an adult:) In my opinion Mc Donald’s for a 13 year olds birthday is not such a great idea because then all the kids can do is eat, as the play area is only for toddlers and little children. If your son/daughter is fond of movies why not take them for a movie at Neuplex and then give them a treat from the food court. 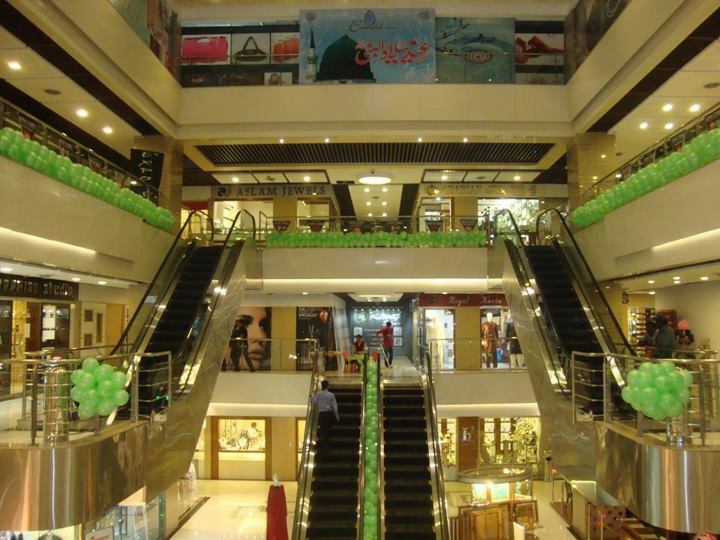 Or you can also do a little set up in Dolmen City Mall food court, with balloons and streamers and the kids can enjoy playing games in the arena. Or if you have space at home why not plan a theme party where the kids can come dressed according to the theme and plan some fun games. You can find lots of ideas on pinterest.